Charitable work is just one of the things Freemasons are involved with. It’s undoubtedly an important aspect but not the be all and end all of Freemasonry. It is more an inevitable result of, who we are or who we strive to become. All the money raised by Freemasons, and given to charities, is raised internally. Nothing is collected from the general public. We don’t do ‘chugging’! All Masons are encouraged to give generously, but only within their means (there is no set amount or percentage), through alms collections, gift aid etc. Freemasons give to charity in four ways. First through our annual dues to the Grand Lodge, second through gift aided donations, third by alms collected at each meeting and fourth, in lodges which hold raffles, by purchasing raffle tickets. The brethren decide themselves where their donations are applied. The Lodge Charity Steward is the brother who carries out those wishes. Nationally, the Masonic Charitable Foundation gives many millions of pounds to Masonic and non Masonic good causes. Non-Masonic charities – since 1981, more than £30 million has been given to non-Masonic charitable causes. Emergency Relief Grants – are given throughout the year at the discretion of the President of The Masonic Charitable Foundation. Freemasonry is usually one of the first to give donations for disaster relief often within hours of an appeal being launched or of the event itself. Hospices – in England and Wales also receive support every year. Since 1984, the Masonic Charitable Foundation has given over £6 million to the hospice movement. This is in addition to the considerable sums raised by Freemasons around the country in support of their own local hospices. 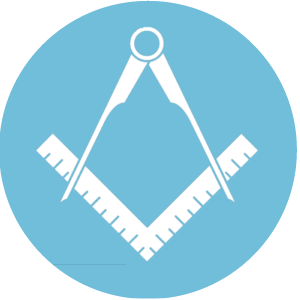 Masonic Relief Grants – originally these provided help for poor and distressed Freemasons and the making of Masonic Relief Grants and is still one of the primary activities of The Masonic Charitable Foundation. 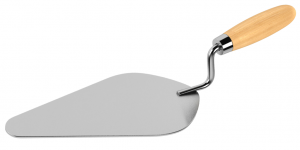 Just as a stonemason would use a trowel to spread mortar or cement, so the Freemason uses the symbolic trowel to spread the cement of human kindness.